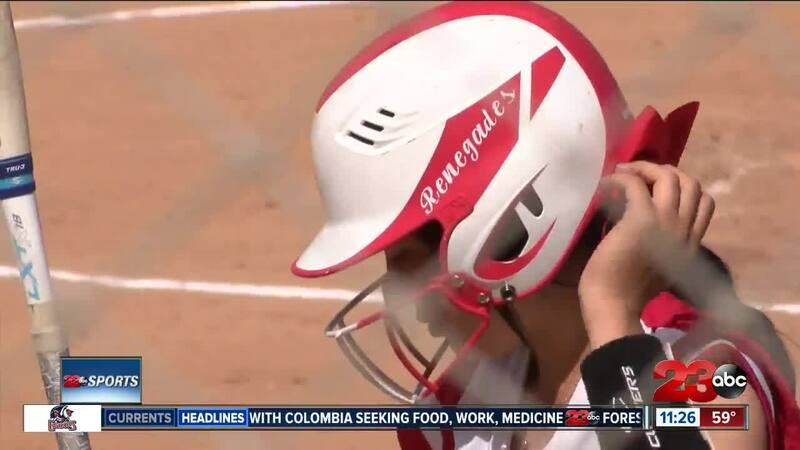 BAKERSFIELD, Calif. — The Bakersfield College softball team defeated Ventura College on Tuesday afternoon in a WSC match-up with a run-ruled 8-0 victory after six innings. The Renegades improved their perfect conference record to 11-0. Kylee Fahy continued her dominance from the circle pitching all innings with eight strikeouts and only two hits allowed. The Renegades will travel to play Santa Monica this Thursday (4/4) at 2:30pm. The Highland Scots improved their unblemished league record to 8-0 with a 15-1 victory over Mira Monte in 6.5 innnings. Andrew Fajardo finished with 2 RBI and one run from the plate and pitched seven innings, striking out eleven. The Scots head to Mira Monte for a back-to-back matchup on Thursday.